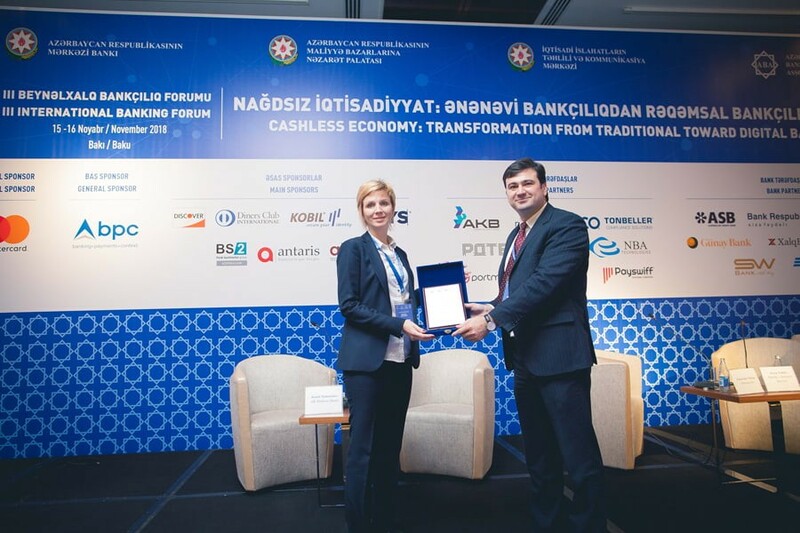 Forum has the purpose of being the platform for discussing the initiatives and challenges of making the economy cashless, new and upcoming trends in digitalization, financial technologies, new banking products, innovations and risks in modern compliance, judicial compatibility and adaptation of the aforementioned to present judicial system, and impact of these processes on strengthening financial sustainability of banks, also other relevant subjects. With the aim to contribute to the comprehensive awareness of the relevant stakeholders, facilitate to the exchange of best practices and to the formation of long and mid-term vision by financial institutions and other companies. 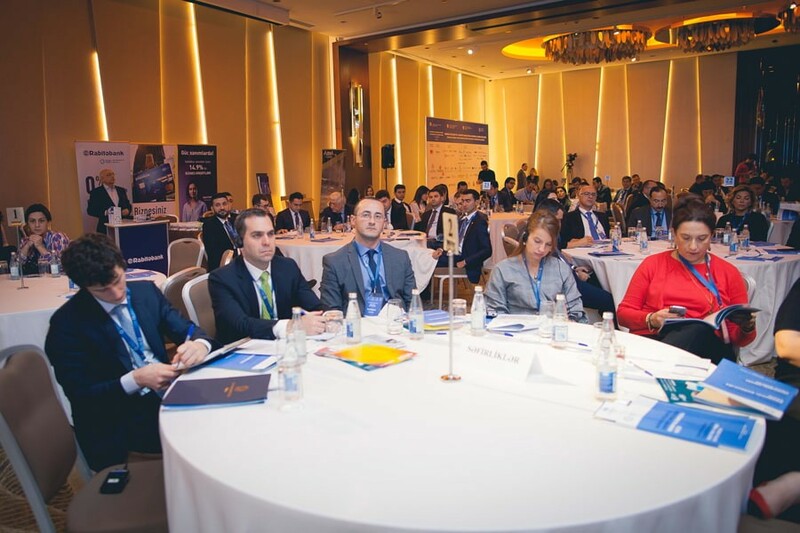 Top and middle management of regulating authorities in the financial and economic sphere, top and middle management of commercial banks, managers of local and international commercial and public organizations, representatives of international financial institutions, embassies of foreign countries in Azerbaijan, as well as other invitees will participate at the Forum. Born: 1960, Tartar district, Azerbaijan. 1981 Azerbaijan National Economy Institute named after D.Bunyadzadeh, distinction graduate. 1981 Economist, Shamakhi branch of the USSR State Bank. 1983, June December Economist, Shamakhi branch of the USSR State Bank. 1983, December – 1988 Inspector at Azerbaijan Republic bureau of the USSRState Bank, chief inspector in Supervision Department. 1988–1993 Leading Inspector at Joint Stock Agri-Industrial Commercial Bank, Chief Inspector in Department of Control and Inspection; later Deputy Chairman. 1993, January National Bank of the Republic of Azerbaijan, Head of Banking Supervision Division. 1995, March Director of Banking Supervision Department and Deputy Chairman. 1995, October – 1996, June, Joint Stock Savings Bank, Chairman of the Provisional Management Committee. 1996, June 14 Member of the Management Board in the National Bank of the the Republic of Azerbaijan. 1996, September 24 First-deputy Chairman of the Management Board. 2001, December Member of the Management Board for the second 5-year term by the Order of “Milli Meclis”. 2002 Candidate of economic sciences. Author of seven scientific works and one monograph. 2006, December Member of the Management Board for the third 5-year term by the Order of “Milli Meclis”. 2012, February Member of Management Board for the fourth 5-year term by the Order of “Milli Meclis”. 2012, February awarded with Order for the Service to the Motherland of the 3rd degree for services in development of banking in the Republic of Azerbaijan. He started his professional career at Sumgait State Tax Inspection, and then worked in different positions in the banking sector. He became Chairman of the Supervisory Board of “Caspian Development Bank” in 2015. 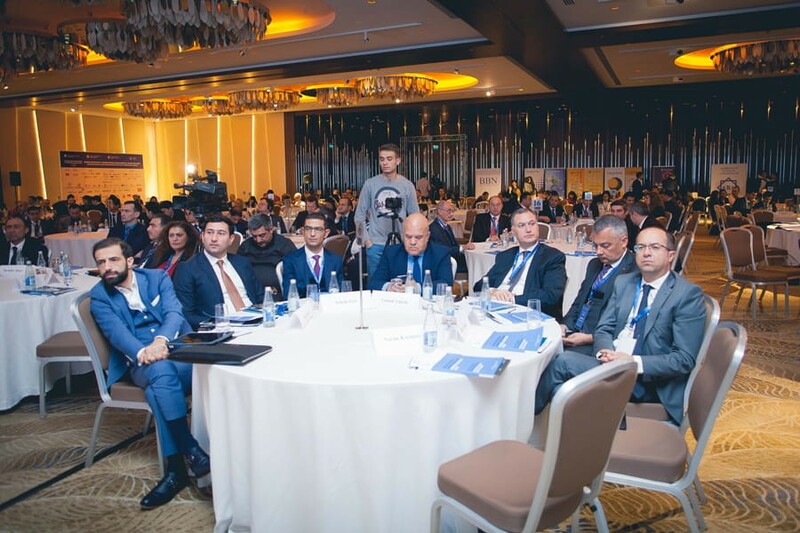 In March 2016, he has been appointed as Chief Executive Officer of Financial Market Supervisory Authority of the Republic of Azerbaijan (FIMSA) by the Presidential Decree. Since the Presidential Decree, dated October 04, 2018, Mr. Ibrahim Alishov is the Acting Chairman of the Executive Board of FIMSA. Imanov Nazim Muzaffar oghlu was born in Baku in 1955. He has graduated from secondary school number 20 in 1972 and from Azerbaijan State University of Economics with honors in 1977. He has defended his PHD dissertation at the Institute of Economics of ANAS in 1983, his post-doctoral dissertation at the Academy of Social Sciences (Moscow, RF) in 1990. He has received the scientific name of assistant professor since 1988 and professor in 1992. In 1977-1979 he worked as the junior scientific worker at the Economic Institute at the ADPK (with a break in military service), the post-graduate student of the ASEU in 1979-1982 and the Senior Lecturer at that institute in 1982-1986. In 1986-1991 he served as the senior lecturer at the Baku Higher Party School, a professor at the Baku Social Management and Political Institute in 1991-1996, and in 1991-1995 he as a professor and Deputy Director for Scientific Affairs at that Institute. In 1995-2000 he was a member (deputy) of the Milli Mejlis of the Azerbaijan Republic. In 2000-2003 he served as an independent consultant and in 2003-2005 as an EU expert at IMC Consulting LTD (UK). In 2005-2015 he was the Editor-in-chief of the “Caucasus and Globalization” scientific journal and as an adviser to the Azerbaijan Banks Association in 2007-2014. Currently he is the Director of the Institute of Economics of ANAS. He is married with 2 children. Farhad Amirbayov was born on 4th July, 1966 in Baku. In 1991 he graduated from the Azerbaijan State Oil and Chemistry Institute, the faculty of Engineering – Mechanics. Further, in 1998 he completed his studies from the State University of Economics, the faculty of Finance & Loan. 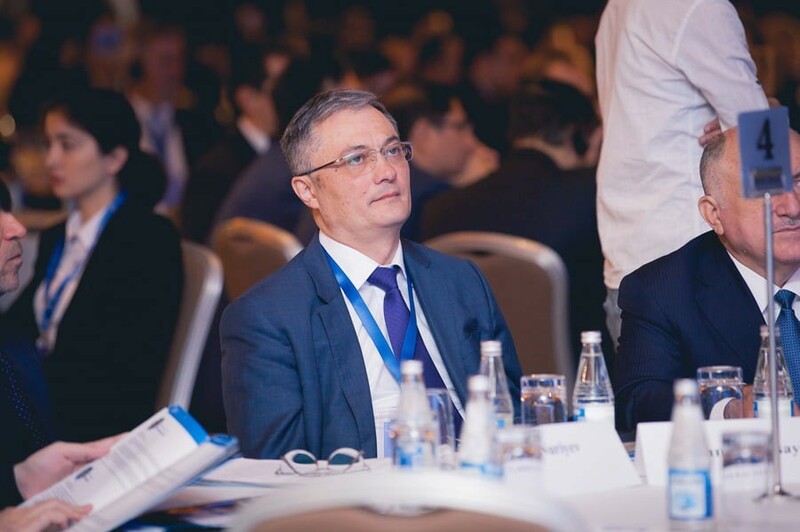 Having worked over 8 years in the industry and over 22 years in the financial sector, Amirbekov became an expert in various fields of science, made several inventions and patents, wrote numerous scientific articles, speeches and publications. 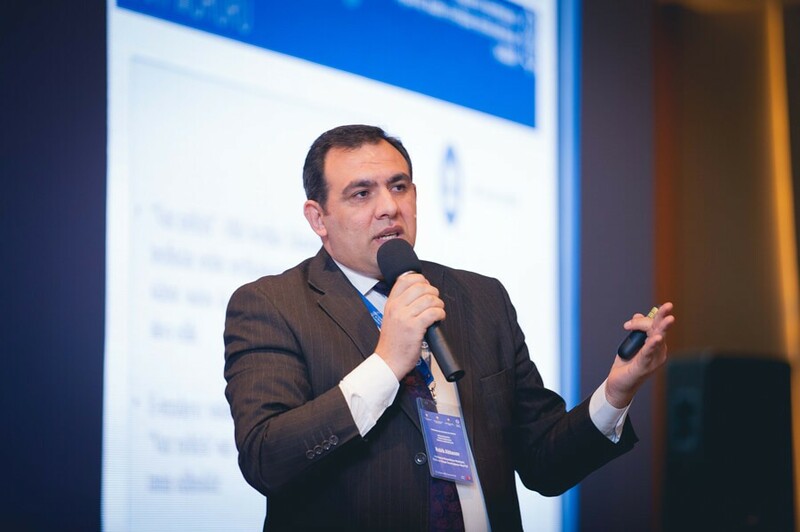 The desire to share experience and get feedback from students was a stimulus for teaching at the UNEC, where Amirbayov gives lectures on the subject of Technology and Global Competition. 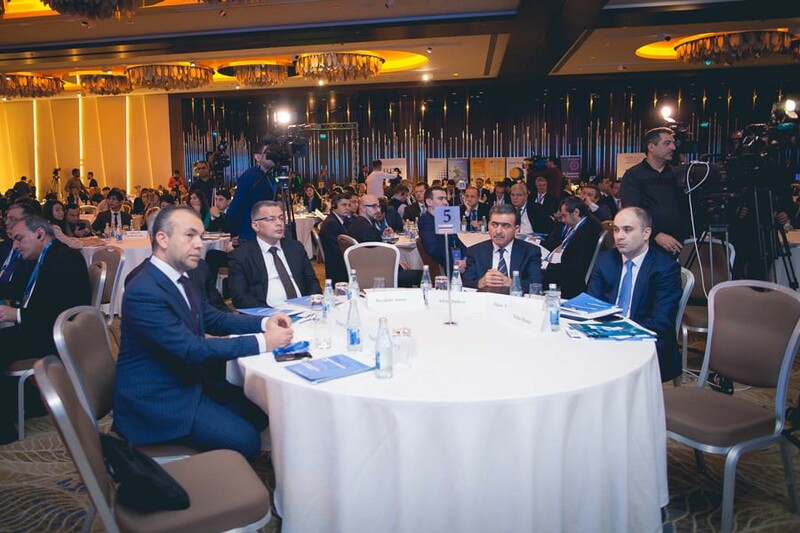 Since December 2013, Amirbayov regularly organizes meetings of the “Divan” Council of Experts in the Association of Risk Managers of Azerbaijan. 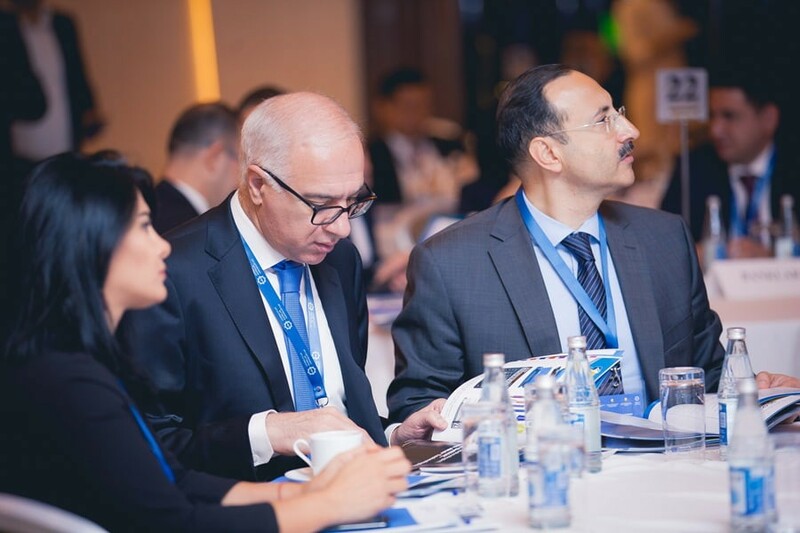 One of the primary areas for Mr. Amirbayov is the consulting of medium and large businesses, as well as providing advisory services for government agencies and individuals on the subject of adaptation to the realities resulting from global and regional processes. Currently, he is the President of the UNEC Research Foundation. HakanTatlici holds more than 10 years of experience in the payment and telecommunication industries with special focus on product management, new business development and account management. Before joining Mastercard, he had variety of roles in industrial automation industry, Avea and Turkcell. He has been working for Mastercard as Business Development Director since 2014. Hakan holds a BS degree in Electronic Engineering from Kadir Has University, and MS Degree in Mechatronic Engineering from the Marmara University. He also likes rowing, motorbike riding and exploring different culinary cultures. He is a father of one. In a retail business since 2000, 13 years of which is in a banking sector (payment card business, including credit cards, loyalty programs, optimization of bank processes). Dmitry was responsible for the implementation of the following projects and directions: revising the line of settlement products, switching to package customer servicing, launching credit cards, launching the processing center, agency sales and much more. 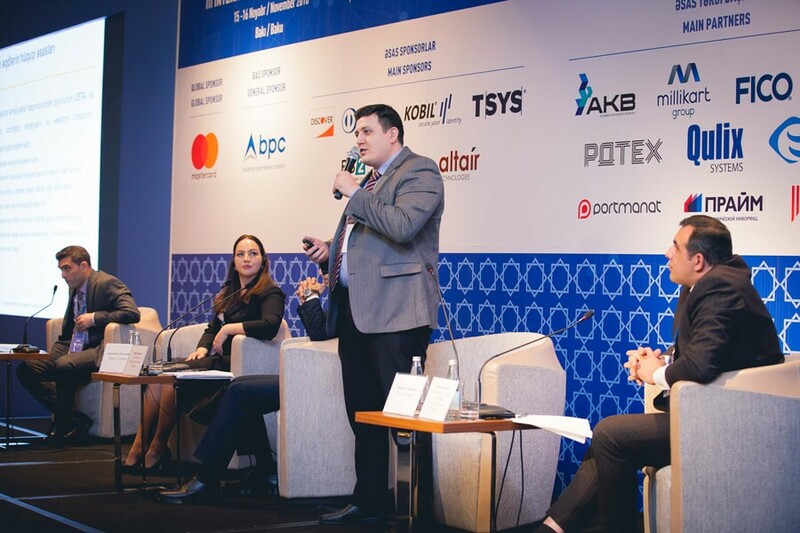 In the past 5 years, Dmitriy Khomenko has specialized in the implementation of industrial solutions for the retail business and digital banking. Senior executive with broad experience in issuing and acquiring business with results driven throughout 20 years of experience. 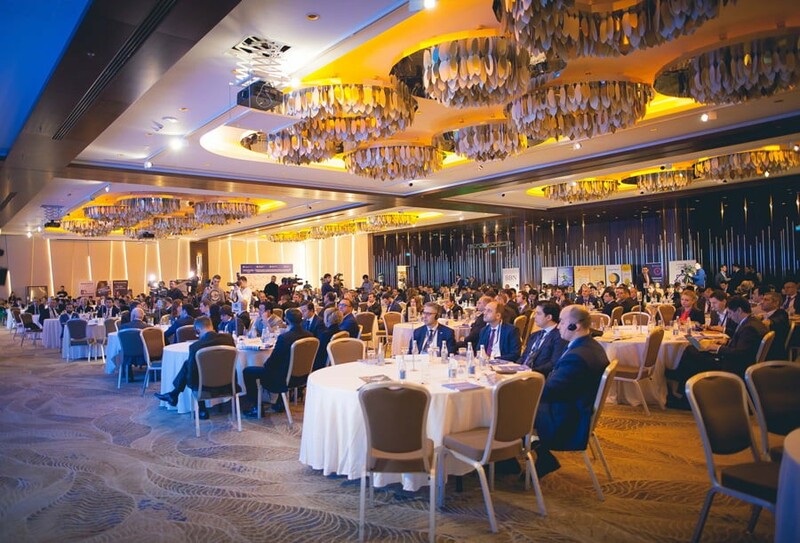 Build, developed and managed succesfull Diners Club organization in Poland. Created, developed and managed succesfull sales strategy including: build and coordination of sales processess through Partners (Banks, Acquirers, Travel Agents), forecasting, pipeline management, direct sales team build and management. Direct experience of developing, marketing and selling payment products, services and loyalty programs (Miles & More), including relationships with senior corporate customers and personal top wins. Responsible for business growth and retention. Koray Arikan is the regional sales director at KOBIL Systems. He has more than 20 years of experience in information security, cryptographic systems and application of these technologies in financial institutions in the EMEA region. He has his BSc of Electronics and Telecommunication and EMBA degrees from Istanbul Technical University. 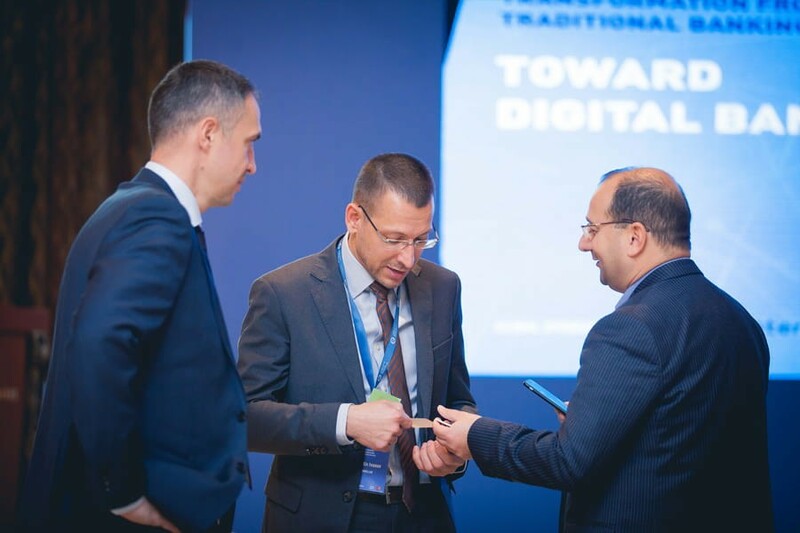 Throughout his career, he has worked for various companies specializing in IT, information security and digital banking solutions in the EMEA region. 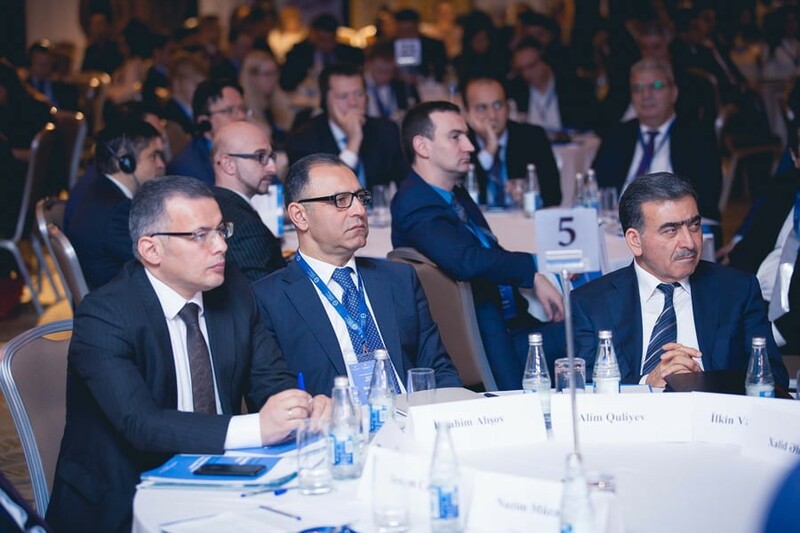 Emre Umut is the Head of Financial Institutions and Corresponding Banking Group for Middle East, North Africa, Pakistan and Turkey (MENAPT), based in Dubai. He leads the team driving the TTS relationship and sales strategies for Citi’s FI and corresponding banking clients in these geographies. Mr Umut has been with Citi for over 18 years, having joined in Istanbul as part of the Corporate and Investment Bank Management Associate (MA) Program. He moved to London in October 2004, joining first Project & Structured Trade Finance team and then the Export & Agency Finance team covering Europe, Middle East and Africa (EMEA). 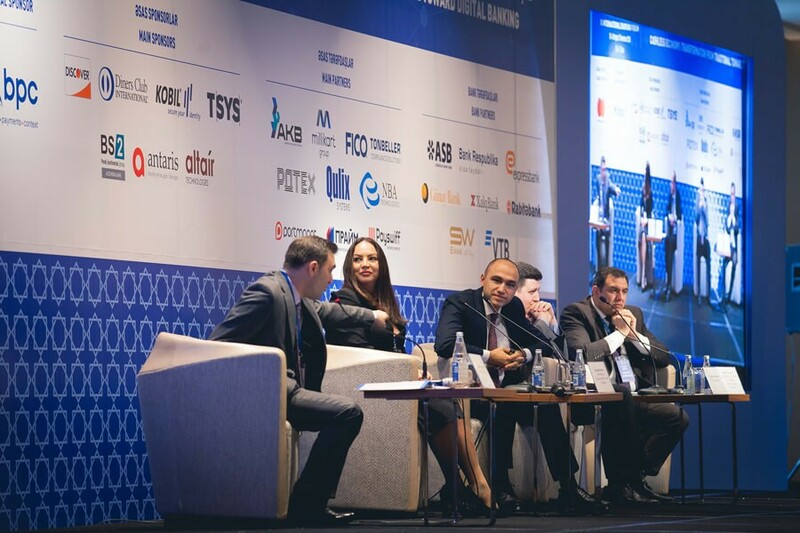 Prior to his current role, Mr Umut managed Citi’s Cash Management and Trade businesses for Russia, Ukraine and Kazakhstan between October 2013 and June 2017. Mr Umut has vast experience in banking, treasury management, export finance, structured trade and corporate finance as well as project financing. 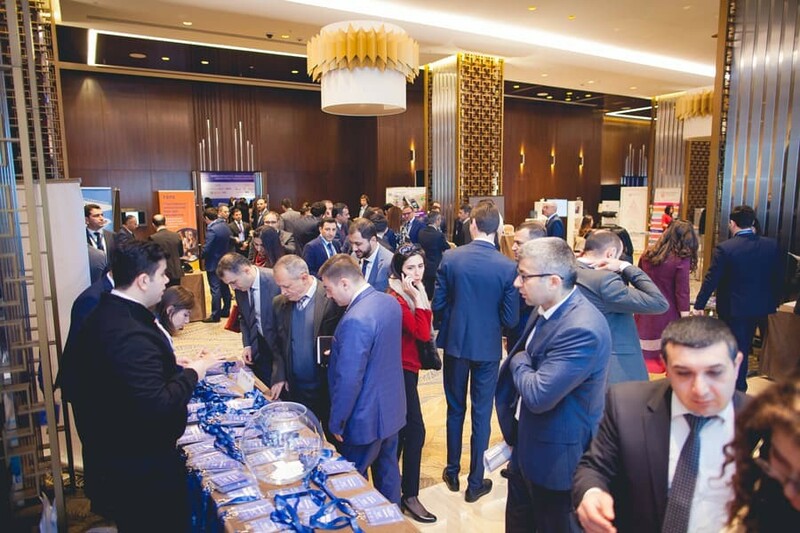 He holds an MBA from Bilkent University, where he specialized in corporate finance, and a Bachelor of Science in Civil Engineering from Middle East Technical University in Ankara, Turkey. 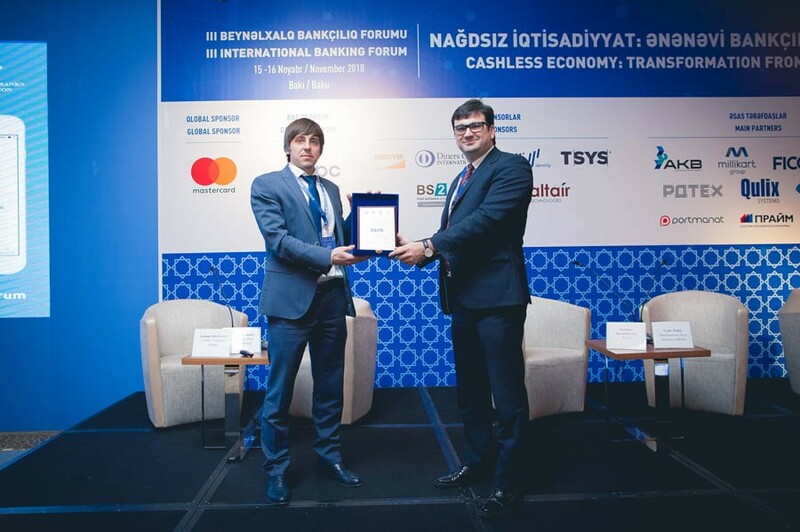 Evgeny Zaytsev has recently joined Department of the National Payment System and is especially involved in fostering international cooperation for the Department. He has 15 years of professional experience in international cooperation. After receiving undergraduate degree in Sociology in 2002 and concluding his Master of Science in Law at People’s Friendship University (Russia) in 2003, Evgeny started his career as a legal adviser to the Head of Unit in the International Financial Affairs and International Cooperation Department at the Central Bank of the Russian Federation. Then in 2013, he joined International Cooperation Department and served as a project manager helping to establish the payment infrastructure with countries in the Middle East and in the Northeast Asia among other issues. Andrei Spiridon joined Raiffeisen Bank International AG in 2012, responsible for new Institutional Clients business relationships and account openings. He also took over the responsibility for the KYC update process for all existing Institutional Clients of RBI AG. In 2016 he joined the Group Business Management & Development Unit for Markets & Investment Banking, responsible for running the product approval process for capital markets, investment banking and treasury products. Other focus area is the design of the Markets & Investment Banking strategy for RBI Group. Also on his agenda is the digital target architecture of the MI&B area, including R&D projects and FinTech cooperation. He received his Bachelor of Science in International Business Administration and his Master of Science in Socio-Ecological Economics and Policy from the Vienna University of Economics and Business. 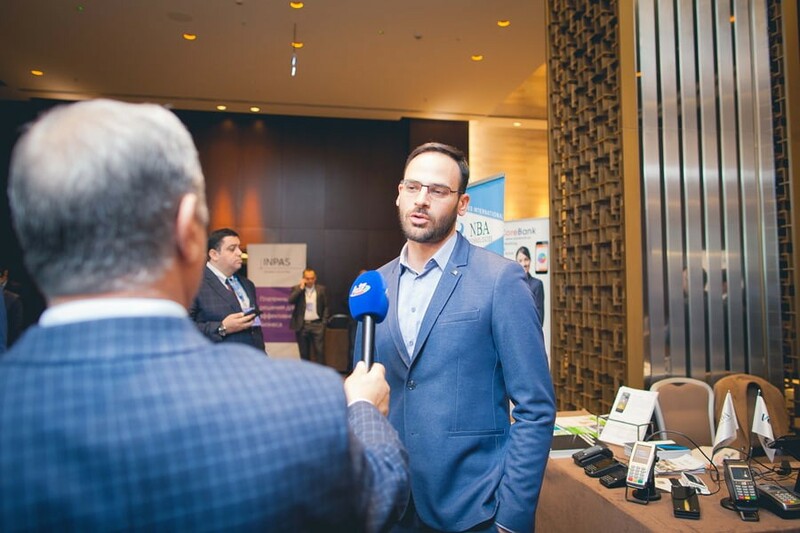 TSYS Card Tech Ltd Regional Business Manager with 10+ years’ experience in delivering diverse projects in banks and private organizations covering the full spectrum of electronic payments and self service platforms exclusively in Russia, CIS and Eastern Europe. Graduated from Moscow State University of Instrument Engineering and Computer Science at 2008 with a qualification of software engineer. Started career in NCR corporation in a role of Professional Services consultant in Financial solution division kindly supporting top Russian banks and processing companies. 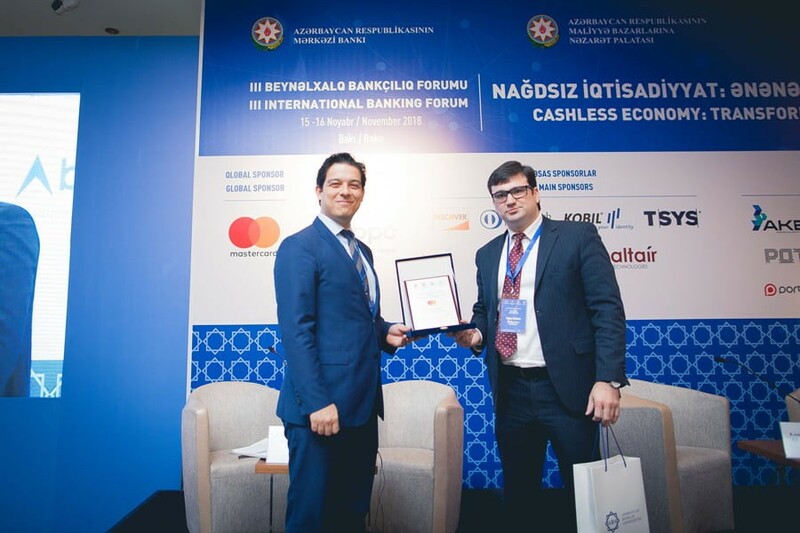 Has lead projects in Financial and Retail industries in a role of Project Manager delivered Gasper Vantage ATM monitoring system to Russian Agricultural Bank and integrated first Self Service Checkout device to the Hyper Globus retail store in Moscow region on tight delivery target dates and within budget. Driven numerous business initiatives from a technology perspective in different vendors implementing SW/HW products and services that address the needs of banking retail customers on all self-service channels including ATM, POS, Internet and Mobile banking. 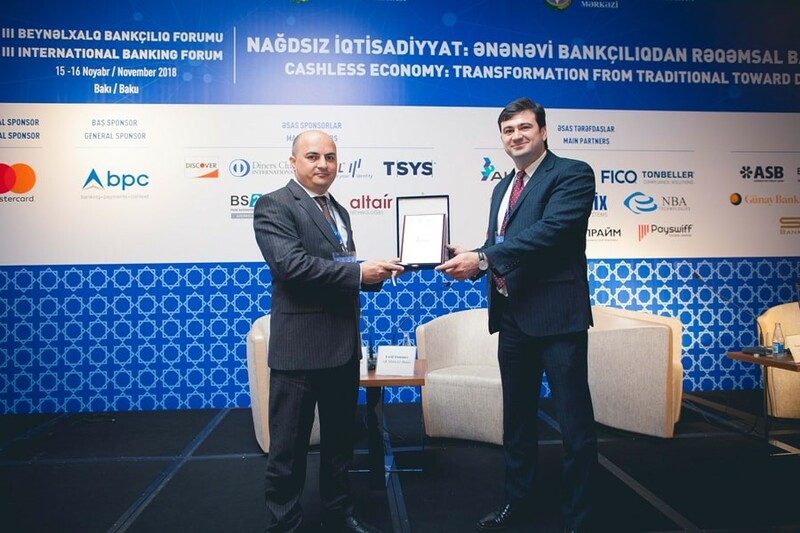 Since 2017 has joined TSYS Card Tech Ltd and responsible for the sales and business development providing best in class payment processing solutions to the banks and financial companies around the whole Russia and CIS. 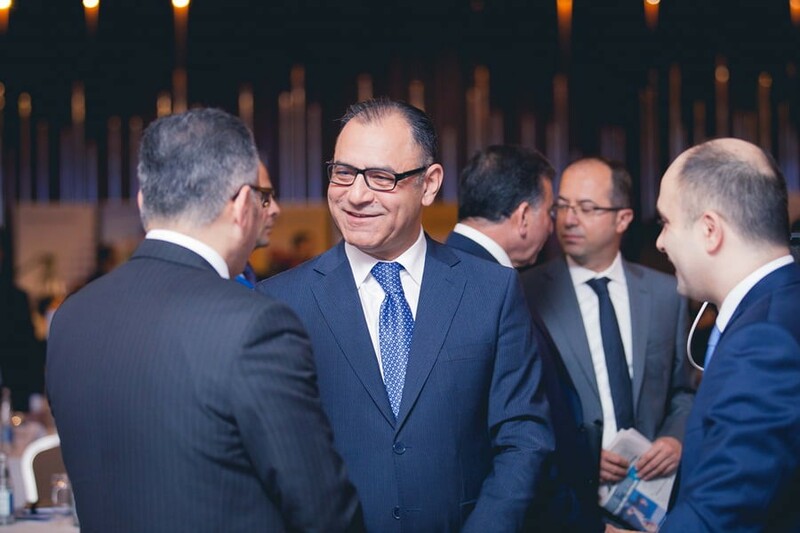 Cenk Temiz, as EVP of Card Payment Systems at BKM, is responsible for strategy and national payment scheme. BKM has been established in 1990 in order to handle clearing and settlement operations of domestic card payments in Turkey. He joined BKM at 2012 in order to set up strategy function that focuses on card payment industry strategies and regulation management. 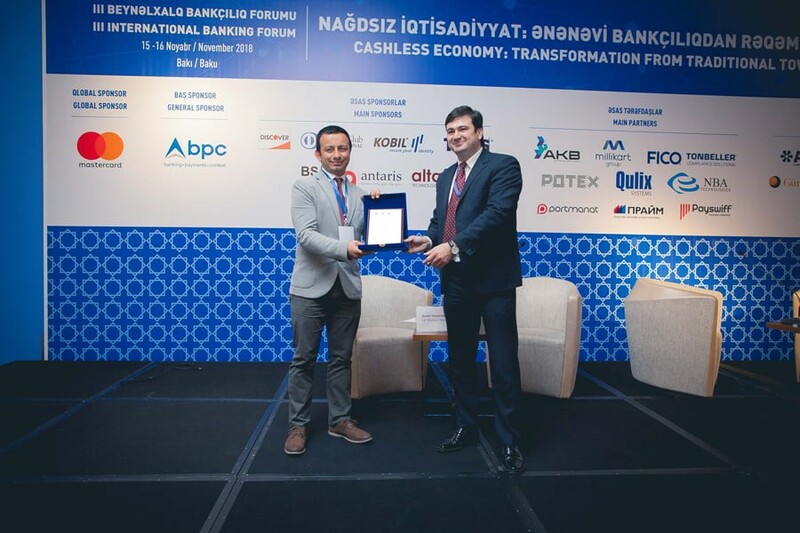 He has taken a significant role within the management team that led the transformation of BKM; a company that acts as a driver for innovation with digitalization of card payments with mobile wallet, contactless, mobile payment solutions on top of the operational excellence enabling daily clearing and settlement operations. He has managed all the development phases of national payment scheme - Troy from the very first day of initiative. His current focus is to increase penetration of Troy by expanding product umbrella through innovative mobile solutions with Troy Innovation Center. Prior to joining BKM, he worked for more than 15 years in banking industry, where he has depth experience in retail banking and banking strategies. Daniel Fukson is an IT expert with 25+ years of experience. At BS/2 he is responsible for establishing new partnerships and developing products as well as sustaining connections with banking and retail companies in 80 countries. Daniel has big experience in implementing of tailored IT solutions in specific infrastructure of financial institutions. He has numerous publications about ATM security, biometrics, cash management and other solutions that are relevant for present-day banking. 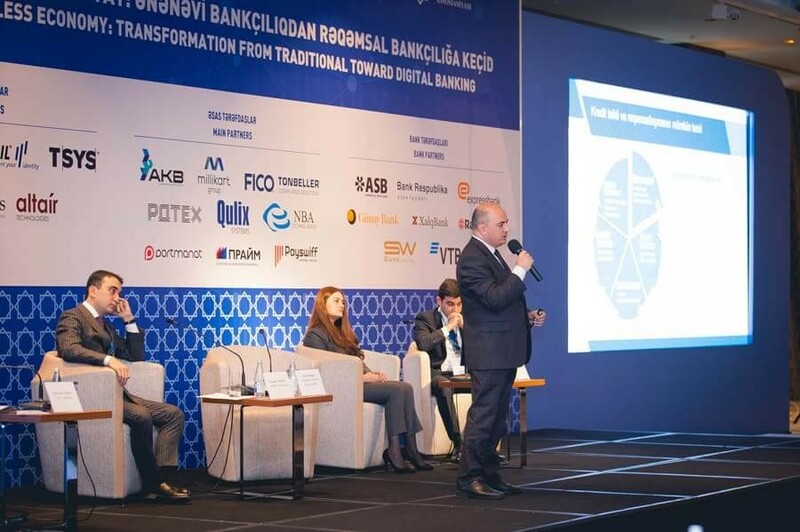 BS/2 company works with most Azerbaijanian banks as solution provider, system integrator and service company helping them to improve self-service channel efficiency and customer satisfaction level. 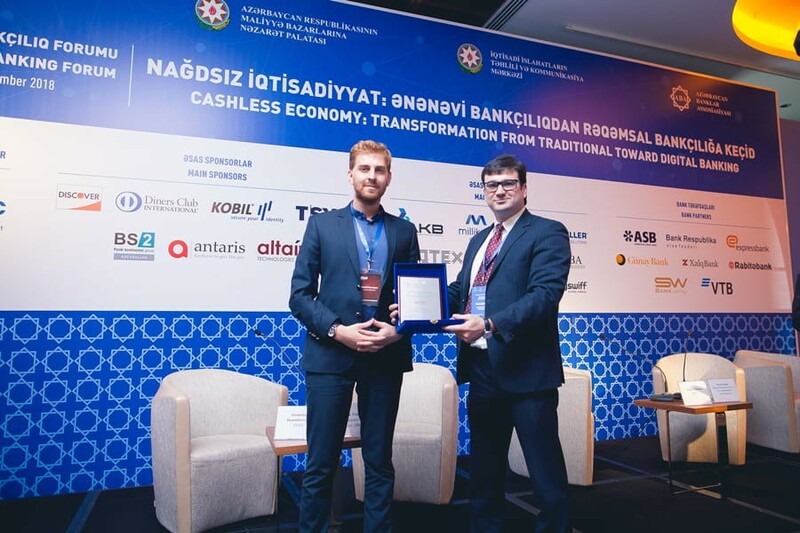 BS/2 Azerbaijan (also known as BSKom) works since 1999 and provides maintenance and added-value services for more than 500 ATMs in the country. The company provides the new-era customer-centric approach for financial institutions such as omnichannel banking and branch transformation to secure their market excellence. 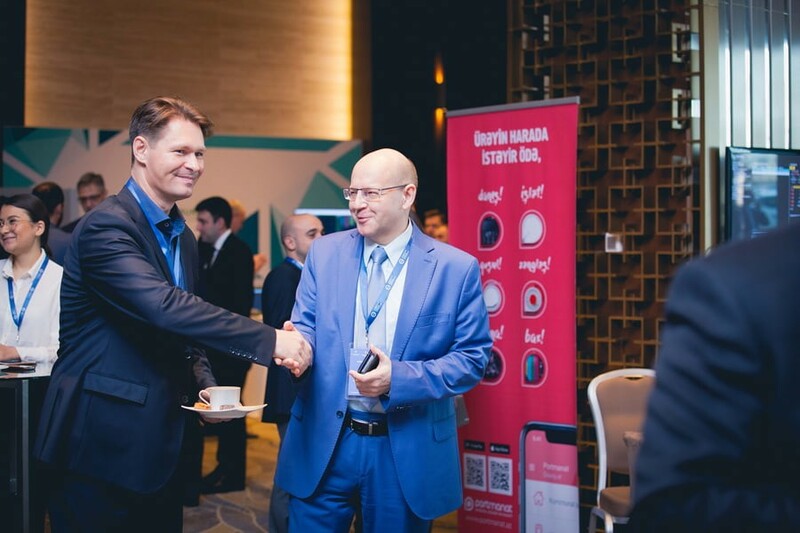 Pavel Shoust is the executive director of the Russian Electronic Money and Remittance Association. His responsibilities include the on-going research of the new payment methods, regulation of the market and latest technological developments. He is a member of the Consultative Council on AML/CFT with the Russian Financial Intelligence Unit and the AML/Identification Taskforce under the aegis of the Russian Central Bank Working Group. Pavel is also a consultant of the International Finance Corporation (IFC). 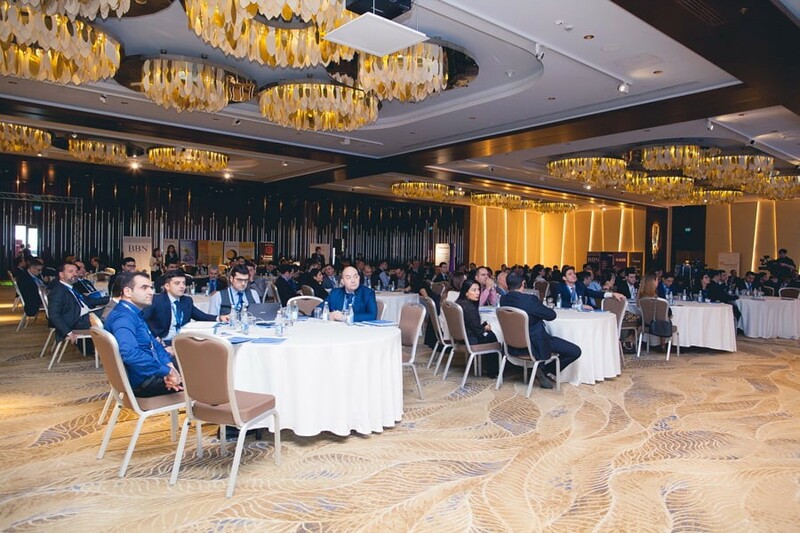 Pavel has been providing his expertise on the latest development in AML/CFT efforts, financial inclusion issues and regulation of financial innovations as well as cryptocurrencies, speaking at specialized events and giving lectures for the private and public sector in Russia, Kazakhstan, Malaysia, Mongolia and other countries. 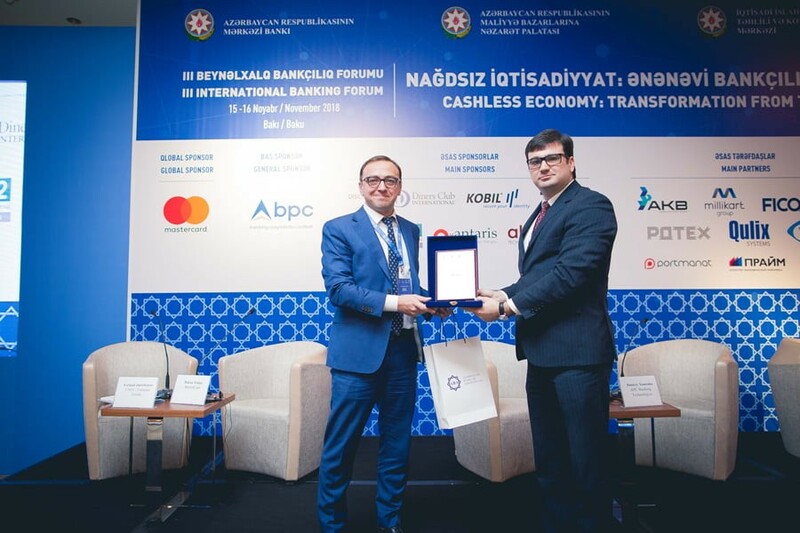 Pavel participates in the proceedings of the Digital Financial Services Working Group at the Alliance for Financial Inclusion, now a co-lead on Fintech/Regtech workstream. 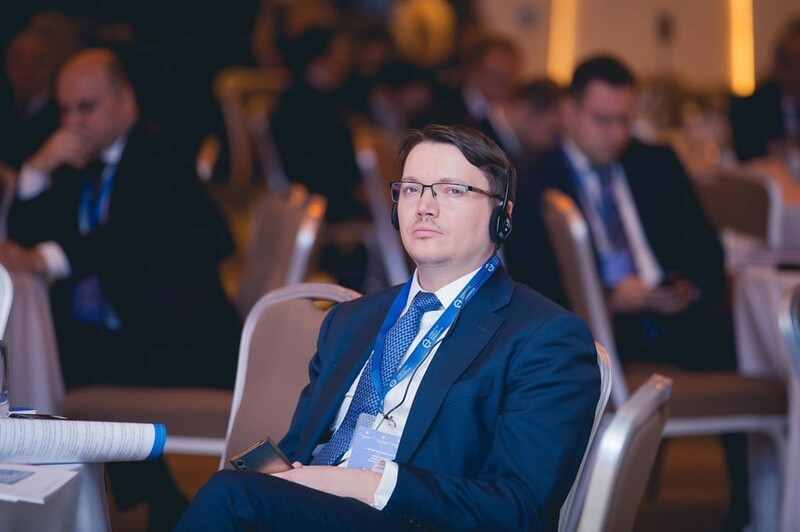 Pavel holds a PhD degree in Political Science, he is a coauthor of a number of publications on regulation of electronic payments and developing payment technologies. 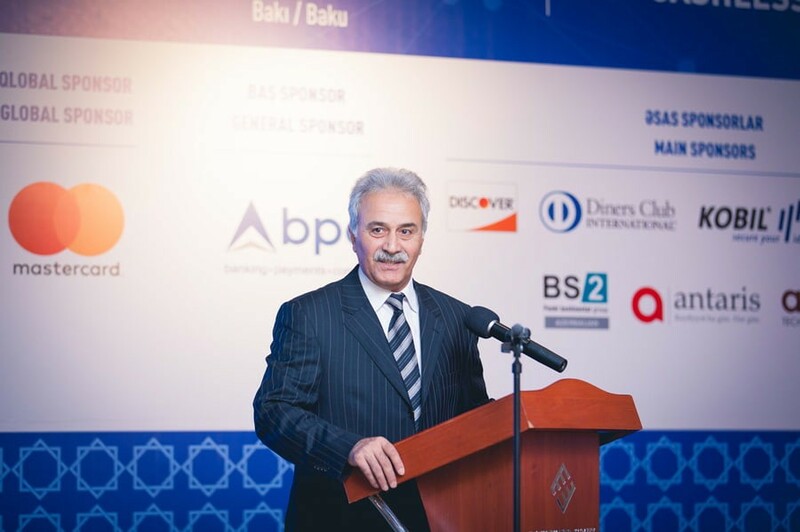 Mr. Ramil Mahmudov is a Chief of the National payment system development division at Central Bank of Azerbaijan Republic. 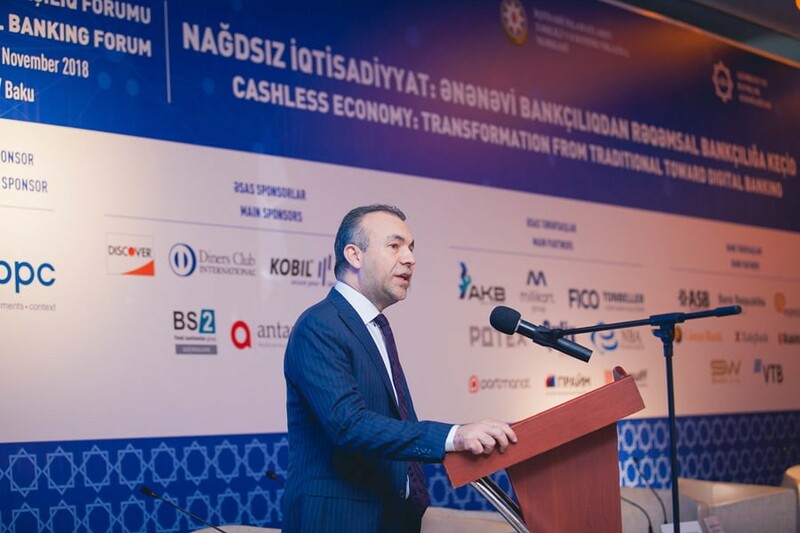 He is responsible for development of cashless payments in Azerbaijan. He is an experienced professional in payment systems, electronic banking, mobile banking, card business, e-money, e-payments and retail banking. 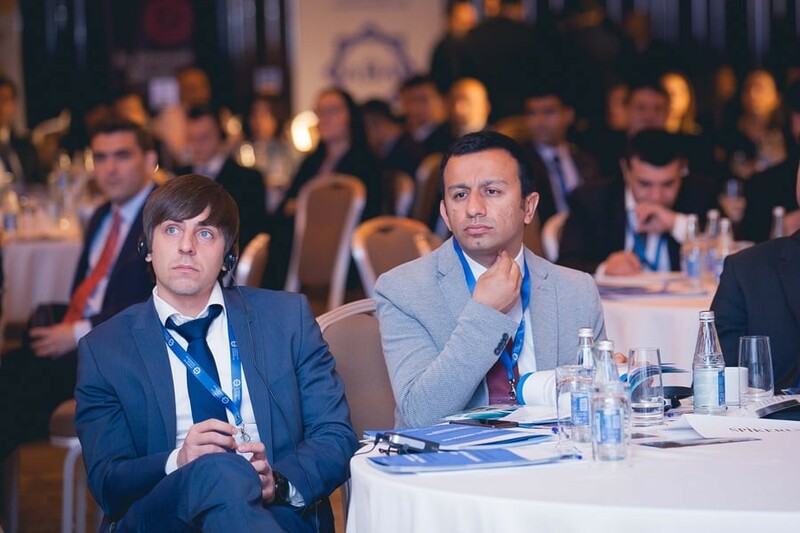 As an co-author of several regulations and recommendations for banks and other stakeholders, he also familiar with regulations, recommendations and experience of ECB, EU, CIS, BIS about payments systems ecosystem and payment instruments and also with risk management, fraud management, chargeback procedures of Visa and Master Card. 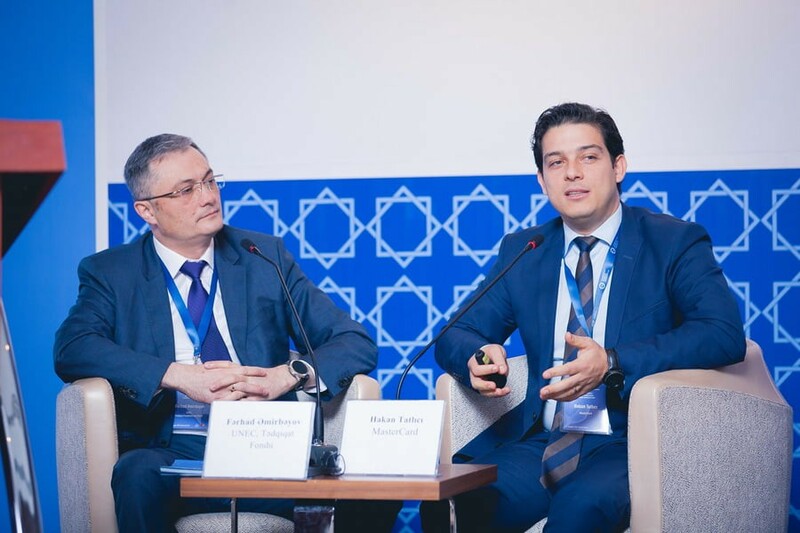 Mr. Mahmudov holds Master’s degree in Banking and Finance from Luxembourg School of Finance, University of Luxembourg and Master’s degree in Finance from Azerbaijan State Economic University. He received Certificate on “Management Development Program” from Azerbaijan Diplomatic Academy in 2014 and Executive education Certificate from New York University Stern School of Business in 2015. He received a numerous training certificates in the field of cashless payments and management in Europe and Asia. 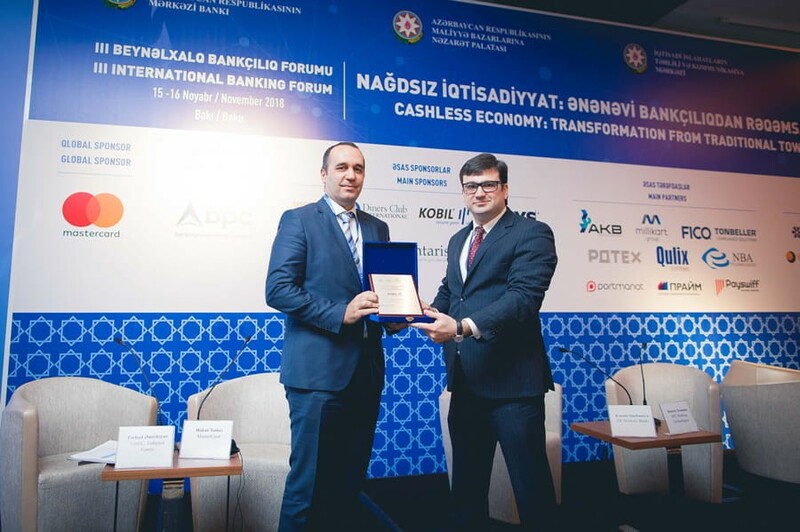 Farid Osmanov is Chief Information Officer at the Central Bank of the Republic of Azerbaijan. Mr. Osmanov has about 15 years of experience in information technologies, implementing a number of customer centric services in banking sector. 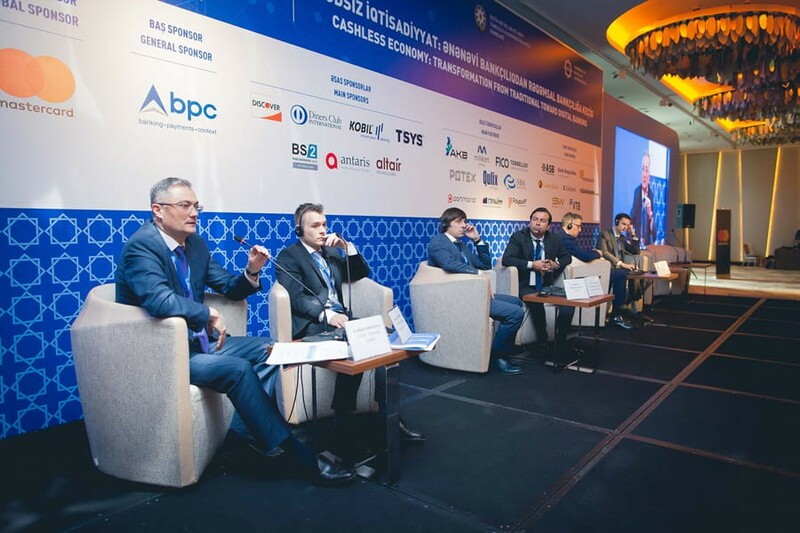 During his professional career, Mr. Osmanov focused on both adoption of information systems, covering ever-changing business needs and business process optimization to improve the effectiveness and efficiency of business process management. 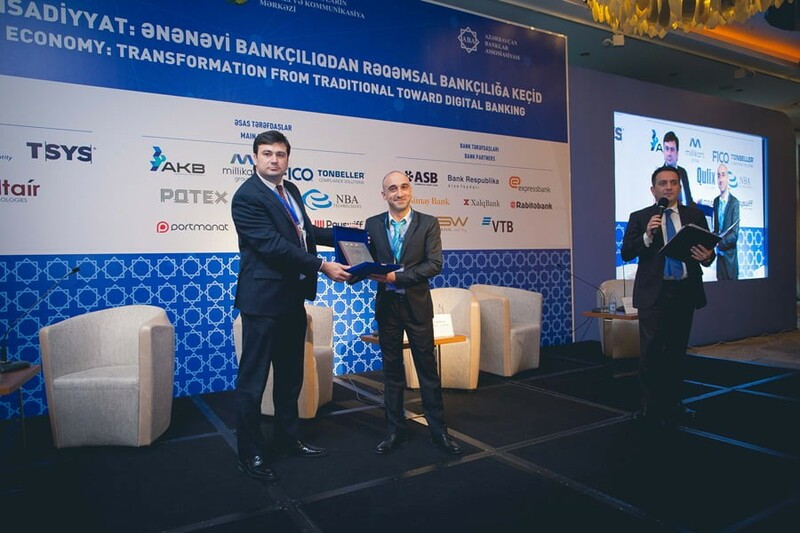 Mr. Osmanov is currently project director of the first Blockchain-based platform in Azerbaijan, aiming to implement Digital Identity System in order to develop trusted, secured and transparent banking services for customers. Mr. Osmanov holds Master of Science degree from the University of Manchester, and certified as an ITIL expert, Prince 2 and ISO27001. Mr. Osmanov has a daughter. 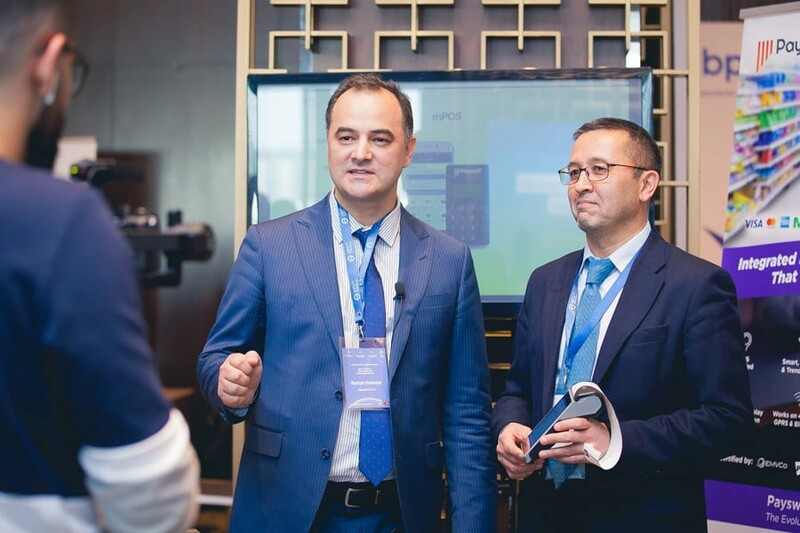 Head of Mobile payment services division in Samsung Electronics Russia Company since April 2016. in charge of strategic development of the service, partner programs launch, localization of the service in Russia and CIS countries. Leads development of regulatory, technical, methodological protocols of the service in the region. Expert in the sphere of innovational financial instruments and payment services solutions. Highly experienced in anti-fraud and risk management solutions implementation in bank sector. 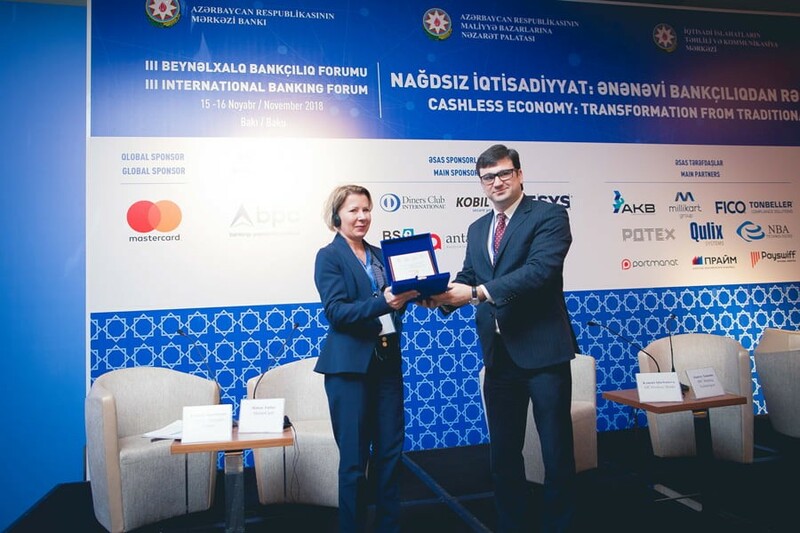 Ekaterina led the successful launch of mobile payment service Samsung Pay in Russia and Belarus including innovational platform of money transfer via token (payment card in the Samsung Pay application), ensured operation of the service all over Russia and Belarus, initiated cooperation with over 70 financial and credit organizations and partners. Graduated from State University of Management, Institute of International Business, majoring in international business. Petr joined Moody’s in 2014 and has analytical responsibilities for Financial Institutions in Russia, Azerbaijan and Uzbekistan. Prior to joining Moody’s, Petr was a Credit Manager at the Royal Bank of Scotland, based both in Moscow and London, with responsibilities covering Financial Institutions in the CIS & CEE region, particularly Russia, Kazakhstan, Poland, Hungary and Romania. 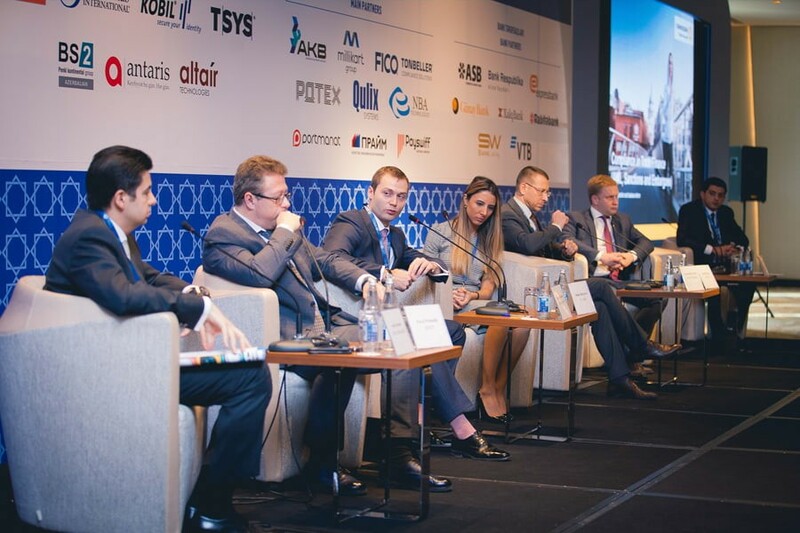 Prior to that Petr worked at ING Moscow as a Credit Analyst for Fixed income Research for Russian banks, and at Raiffeisenbank Moscow as a Credit Risk Manager covering Financial Institutions within the CIS region. 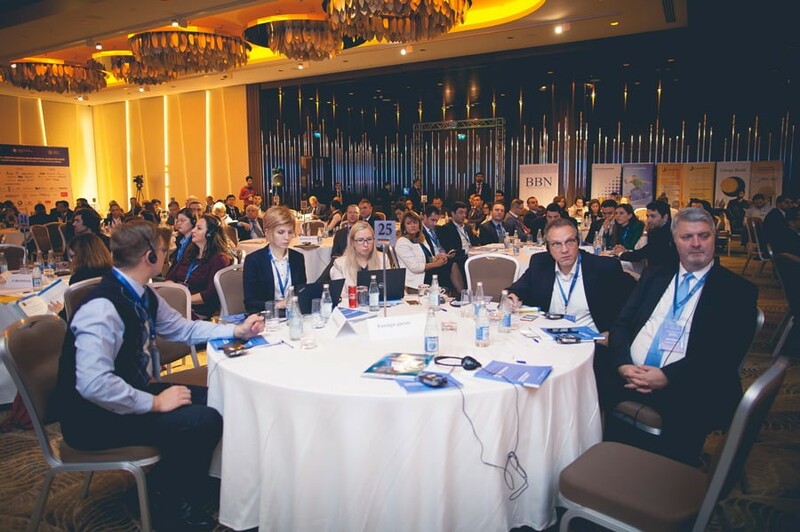 Petr holds a Master’s Degree in Finance with honors from the New Economic School, and a Bachelor’s Degree in Banking form the University of Higher School of Economics in Moscow. I am the Head of Business Solutions Development Department at Qulix Systems and co-founder of the company. I have been actively participating in the digital transformation of the banking sector over the last 10 years. Flexible integration of the customized top-notch solutions and multi/omnichannel management are among my strengths. More than 20 Top Eastern Banks enjoy disruptive technologies I and my team have been providing for over a decade. Expert at the deep analysis of IT infrastructure, data flows and technical development strategy for the banking industry. Experienced at complex banking IS development and integration with a particular insight into remote banking systems. Active speaker and debater at multiple Russian IT platforms since 2010. I hold a Master Degree in Computer Sciences and am the author of a number of publications on PFM implementation, RBS monetization and Digital Banking. 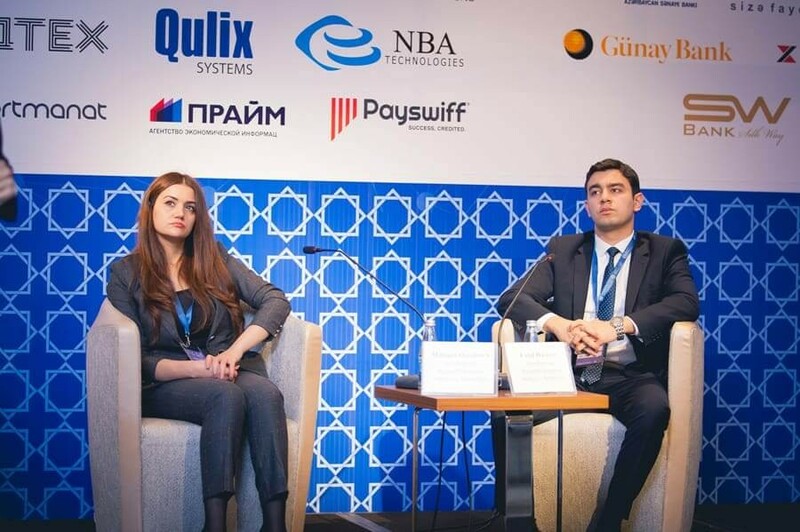 Olga has been working in the field of electronic payments for more than eight years, starting her career at QIWI where she conducted joint projects with large telecom companies. After that, she developed payment services for the Russian Standard Bank. In 2013, Olga joined Yandex.Money, working on Yandex.Checkout as well as the Yandex.Money infrastructure projects such as wallet replenishment and the identification process in Russia and other CIS countries. She was an active participant in the creation of the Yandex.Money services including payment acceptance via Sberbank Online, Installments, and many others. Sefa Karabulut has been working as Audit and Consultancy Manager at Biznet Bilişim for over two and a half years, with overall ten years of experience in auditing and PCI consultancy. Mainly he has taken part in several PCI DSS projects including, but not limited to Payment Processors, Banks, E-Commerce and Airline Companies. Sefa is experienced in Payment Security, Enterprise Risk Management, Data Privacy, Security Incident Management, Business Continuity, Information Security Standards (PCI DSS, 27001, SANS, NIST, COBIT etc. ), IT Audit and Ethical Hacking. He is holding BSc from Erciyes University and Graduate Degree from Gazi University. Beside IT-strategy, enterprise architecture management (EAM), IT management and IT operations what is the base to all further development today, I am working on all aspects of digital transformation. Finding and designing the right solution for business and developing the implementation roadmap plus the necessary ecosystem conditions (e.g. legal framework, documentation framework) is the task of the day. 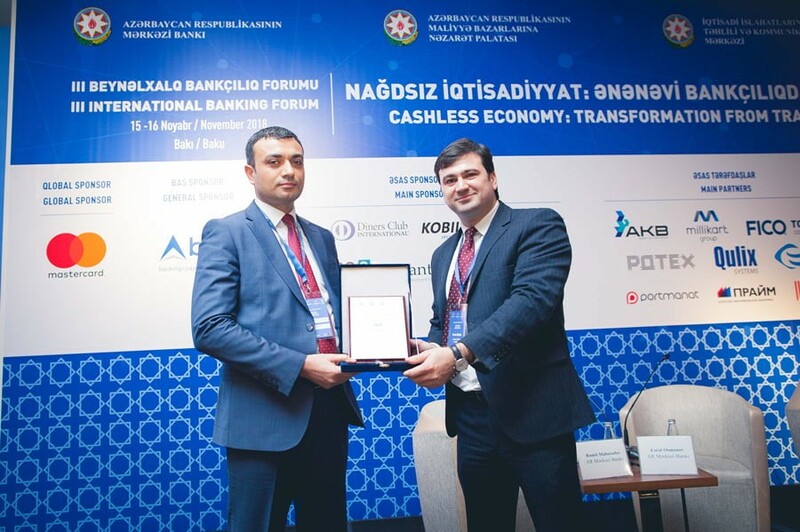 Emil Abbasov has worked in “AzeriCard” LLC and “Kapital Bank” OJSC and since 2015 works at Central Bank of Azerbaijan. 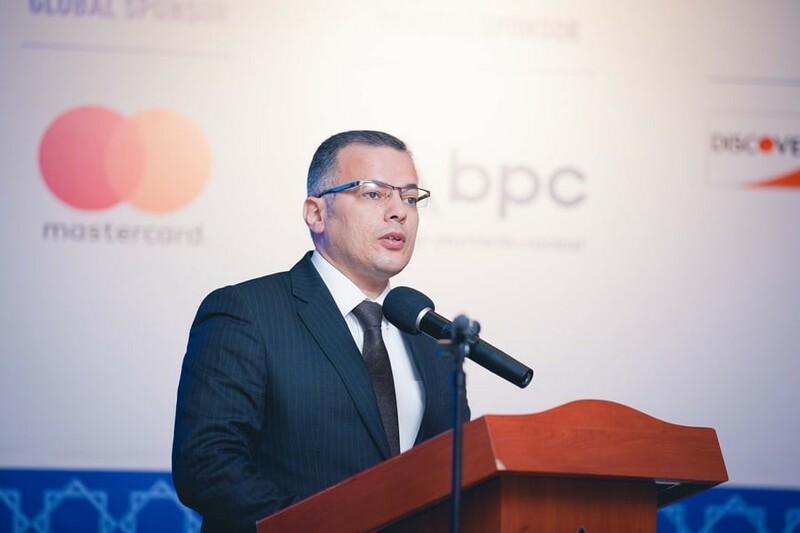 Currently Mr. Abbasov is the Head of Instant Payment unit in the Payment System and Settlements Department. 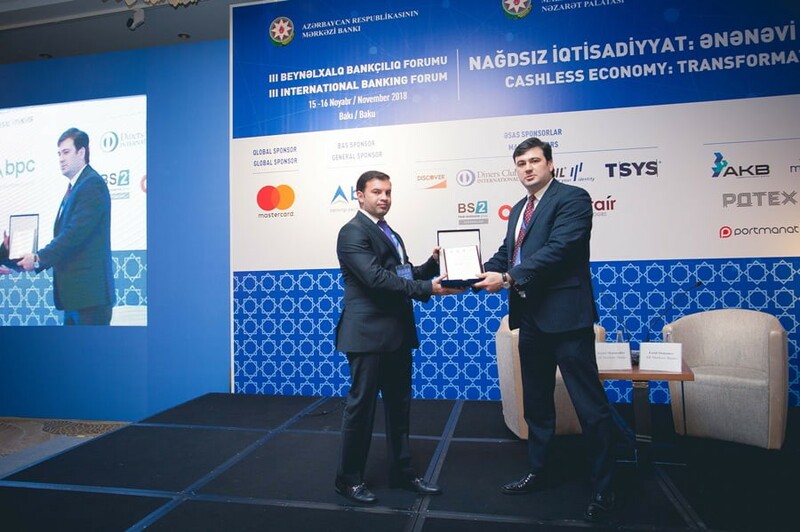 Mr. Abbasov has participated in projects regarding the creation of Central Bank’s Interbank Card Center and its assessment within PCI DSS standards. Mr. Abbasov holds an MBA degree from Azerbaijan State Oil Academy. 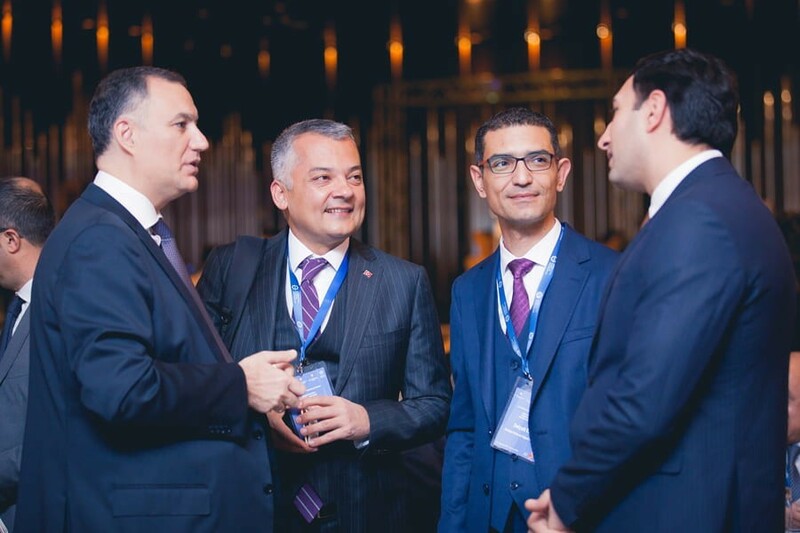 Anar Karimov graduated from Baku State University, Faculty of International Law (1998-2002), received Master's degree in same University (Diploma with honours). He also owns bachelor's degree from Azerbaijan State Economic University (faculty “Finance and Credit”, 2005-2007). 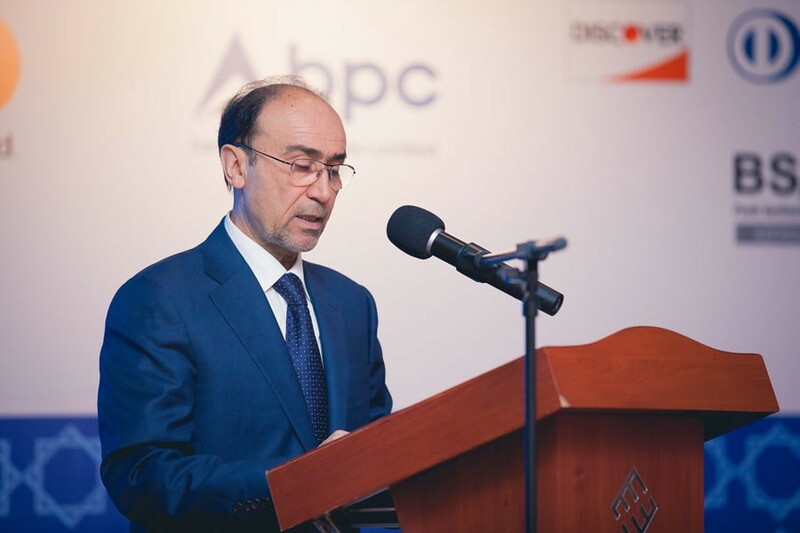 Anar Karimov started his professional career in 2002 as a lawyer in the Ministry of Economic Development of Azerbaijan Republic. 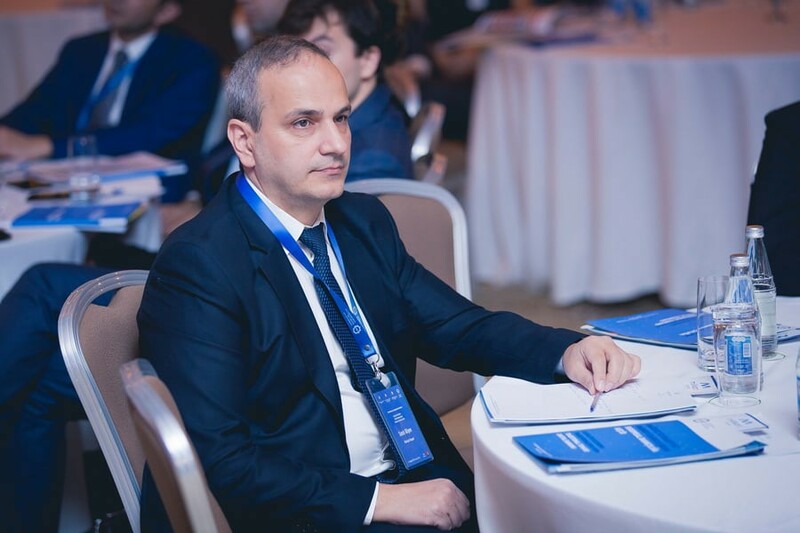 He worked as a leading specialist at the Department of International Relations in the State Agency on Standardization, Metrology and Patents of Azerbaijan Republic (2002-2004); Legal Counsel in Azer-Turk Bank (2004); Senior Credit Analyst in Birlik Bank (2004-2006); and Head of Legal Department in “Sumgait Elektrik Shebeke” (2006-2007). 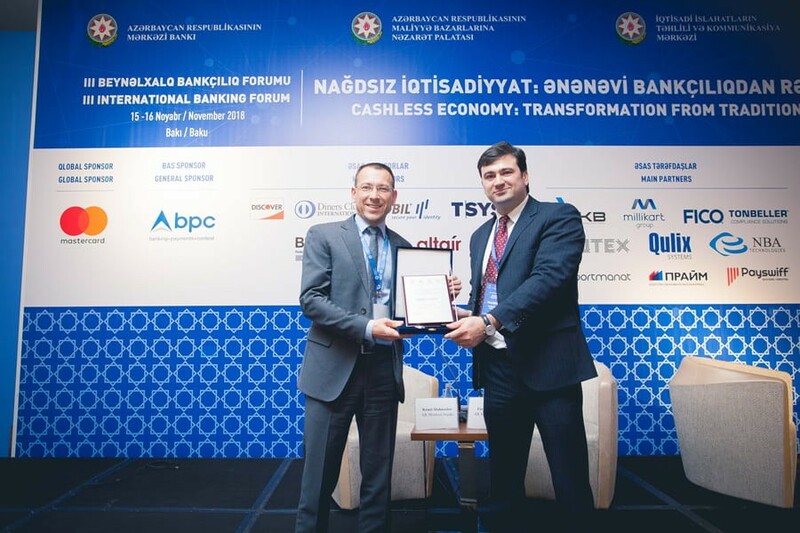 In 2011, Mr. Karimov was honored with the ATTF (Agence de Transfert de Technologie Financière, Luxemburg) Professional Certificate of Competency in the Field of Compliance. 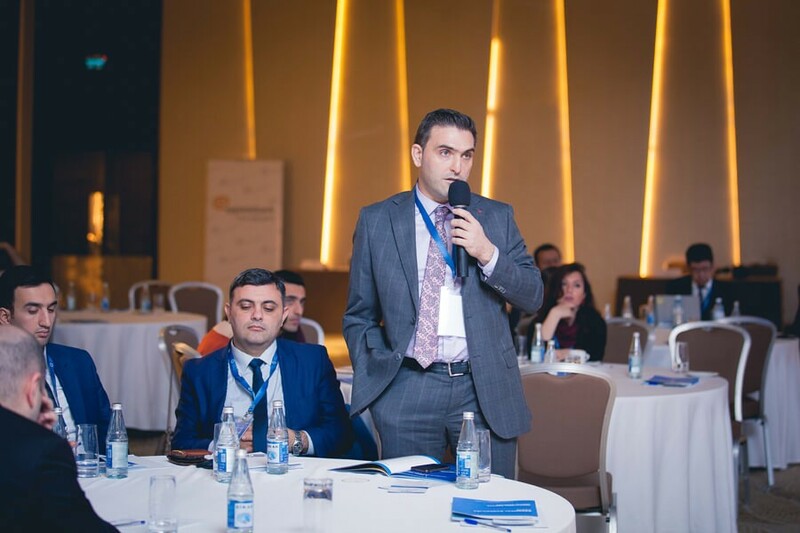 During the period of 2007-2011, Anar Kerimov held the position of the manager of legal division, 2011-2018 he held the position of the Compliance Department Director in PASHA Bank, since 2018 he is the Director of Legal & Compliance Department in PASHA Bank. 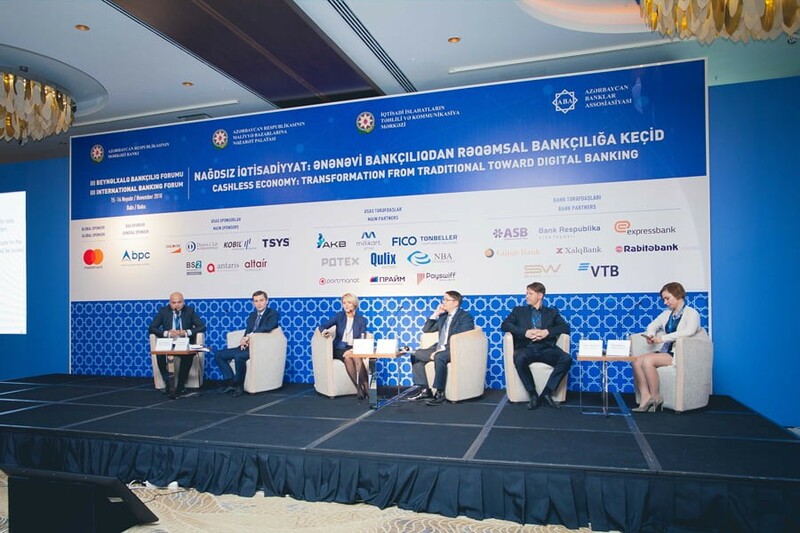 In 2015, A. Kerimov was selected as a Chairman of “AML & Compliance” Expert Committee of Azerbaijan Banking Association. Pavel joined SWIFT Moscow office in the beginning of 2013 as Account Director for financial institutions in Russian and CIS countries. Pavel had many years of experience in Financial Institutions in the top Russian banks and was responsible for relationship with Russian and CIS countries banks. Evgeny Epifanov graduated from the German University of Applied Sciences in International Business Administration in 2006-2007 and graduated with excellence in Business Administration from the Russian State University of Management in 2002-2007. He received a master's degree in Financial Management from Finance and Management School in 2009-2010 and was awarded the title of Best International Student in DAAD STIBET Program. Eugeny Epifanov got an experience in Municipal Property Management Committee in Krasnogorsk City Administration in 2004. Konstantin Ivanov is Regional Director at FICO TONBELLER and responsible for establishing the company’s presence and sales in the Baltics, CIS, Georgia, Scandinavian and Polish markets. Before joining FICO TONBELLER, he served in different management positions at world-leading enterprises in the IT industry, including Software AG and IDS Scheer AG. Konstantin holds a master degree in computer science and a diploma in general management. In 2010 graduated from the Russian State Technological University named after K.E. Tsiolkovsky, chair of Information Systems and Technologies (nanotechnology). Over 10 years he worked with key clients of IT companies. In 2015, he was appointed to the position of Head of Key Account Management in the company CloudDC. Current position: Head of Key Account Management of RDTEX, area of responsibility: Financial Solutions Center, one of the key focuses of company activities. 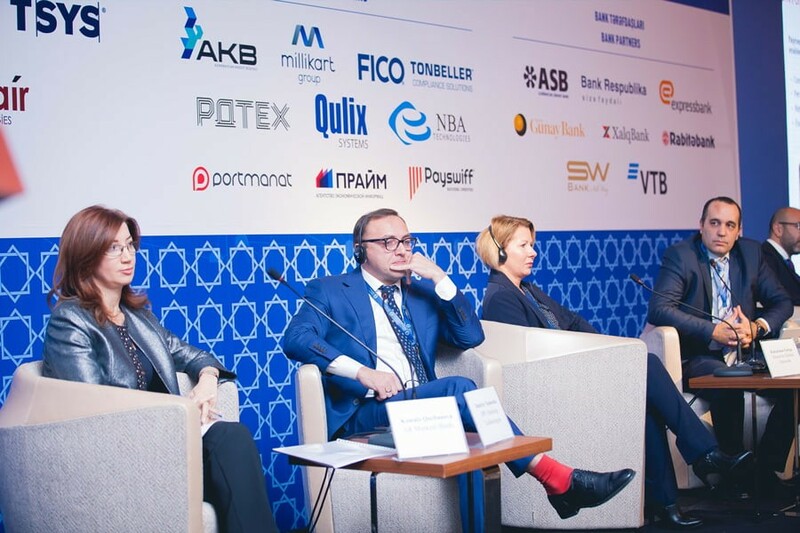 Mr. Solovyev is a regular participant of many specialized banking conferences and forums held in Russia and CIS countries. He frequently speaks on the effective use of information technology in financial companies, highlighting the problems of choosing software and building the clear relationship between solution providers and business. Amina is a Manager at Deloitte Legal Azerbaijan. Amina joined Deloitte in 2013. Prior to this, in 2012 she obtained Master Degree (LL.M) in International Economic and Commercial Law from the University of Lausanne, Switzerland. Her bachelor degree (LL.B) in International Law she obtained in 2010 from the Baku State University. Along with this, in 2009 she completed the Summer School on Corporate Law in the London School of Economics and Political Science (LSE). She has over five years of legal experience in Azerbaijan. Amina has advised and assisted multiple local and international companies in corporate reorganization, business restructuring as well as cross-border transfer of business issues. She has extensive experience in cross-border and local M&A transactions, including due diligence reviews, advising on structuring M&A deals, drafting and implementation of MOUs, LOIs, SPAs in the oil and gas, construction, production, manpower supply, IT and other sectors. Her major areas of expertise include Corporate and M&A, Banking & Finance, Commercial, Employment, Migration, Regulatory compliance, including currency control, data protection, antitrust issues and other legal matters. He began his professional career at the Foreign Supervision Office of the Banking Supervision Department of the Financial Markets Supervision Chamber in May 2016. Since October 2017, he has been working as a specialist in the Data Analysis Department at the Financial Monitoring Service. He has participated in many international and local events on combating money laundering and terrorism. Anastasiya Shevchenko - General Manager of Adecco Ukraine, independent fintech-expert, author of the “Digital Era” - biggest book-project on digital technologies in CIS. Founder and CEO of Fintech Solutions LLC. Since 2004 Anastasiya started working in banking sphere - UkrSibbank BNP Paribas Group, Unicredit Bank, Oschadbank (State owned bank). The business projects under Anastasiya’s responsibility led the banks to Top-5 or even Top-2 on the market. Some of the implemented solutions for clients are still perceived as disruptively innovative and were copy pasted in other CIS countries (card acceptance project with McDonald’s). 4 years (2012-2016) Anastasiya was business development leader in Visa Inc. In September 2017 she founded her own company Fintech Solutions for Fintech consulting and educational projects. She also joint Adecco Ukraine as partner and in December 2017 as General Manager. Afghan Bakhishov graduated with distinction from bachelor and master degree programs of the Law Faculty of Baku State University. Mr. Bakhishov began his career as a leading legal advisor at the Ministry of Justice in 2003 and later continued as a senior legal advisor. In 2008-2016, he worked as a senior legal advisor, head of division and deputy director at the Central Bank. He also graduated from Master's degree in Corporate Governance Law at the University of Manchester in 2014 as a recipiet of Chievening scholarship from the UK Government. 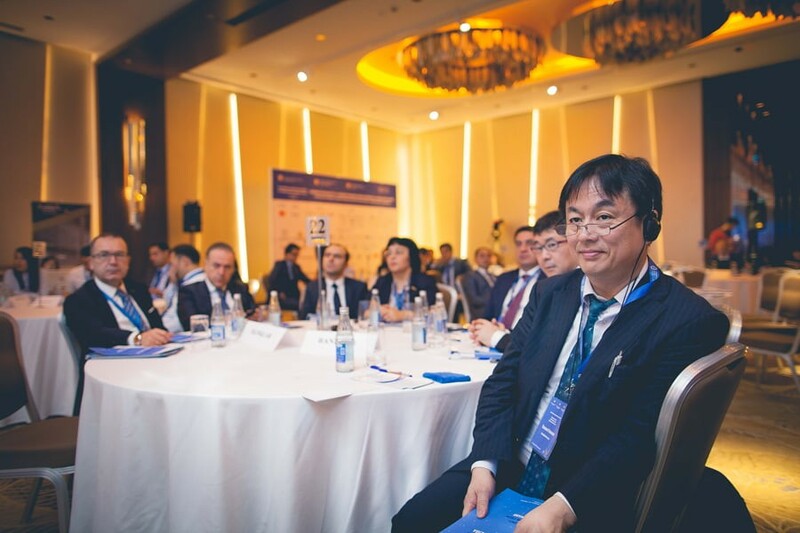 From 2017 untill present he is a member of the Executive Board of the Financial Market Supervisory Authority and is the director of the Legal and enforcement department. Mr. Bakhishov is a Ph.D. researcher at the Institute of Law and Human Rights of the National Academy of Sciences of Azerbaijan since 2017. Seymur is a senior legal consultant at EY Azerbaijan, Tax and Law Department. He joined EY in 2011. Seymur holds a law degree from the Baku State University. He has over 7 years of legal experience. Seymur has advised local and international companies in corporate law, cross-border transactions as well as project financing. He was born in 1984 in Vardenis, Armenia.Chanlibel village of Shamkir region in the years 1991-2001, received secondary education at school number 2. In 2001 entered the Applied Mathematics and Cybernetics Faculty of Baku State University and graduated from this faculty in 2005. In 2005-2006, he served in the real military service. In 2007 he worked as an engineer programmer at the Information Computing Center of the Ministry of Communications and Information Technologies. In 2012 -2014, he received a master's degree in Azerbaijan State Economic University.He has been receiving certification for courses in safety-related module courses in Cambridge, England, in 2013-2015. Since 2016 he is a post-graduate student at the Institute of Information Technology of ANAS. He is a participant of many conferences and seminars. Scientific articles have been published in international and local scientific journals. He is the author and participant of many projects at the National Certification Center. He has extensive experience in applying e-signature and mobile e-signature solutions.At present he is deputy director of the National Center of Certification Services of Transport, Communications and High Technologies. 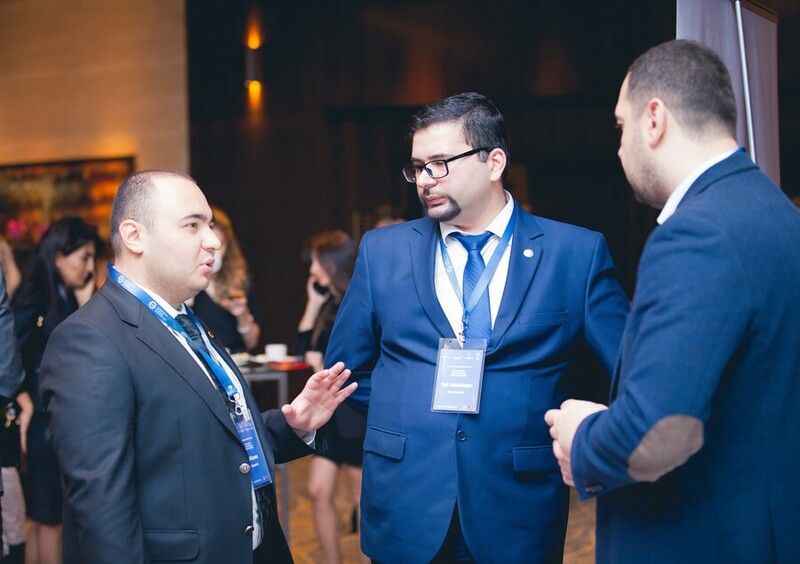 Seymur Niftaliyev joined KPMG in Azerbaijan in 2012 and currently is a Manager within KPMG’s Law Practice. He holds LL.M. in International Commercial Law from City University London and Bachelor degree in International Public Law from Baku State University. Seymur is mainly involved in advising clients with legal assistance on M&A, corporate, banking, agricultural, FATCA and CRS, migration, contract and other areas. 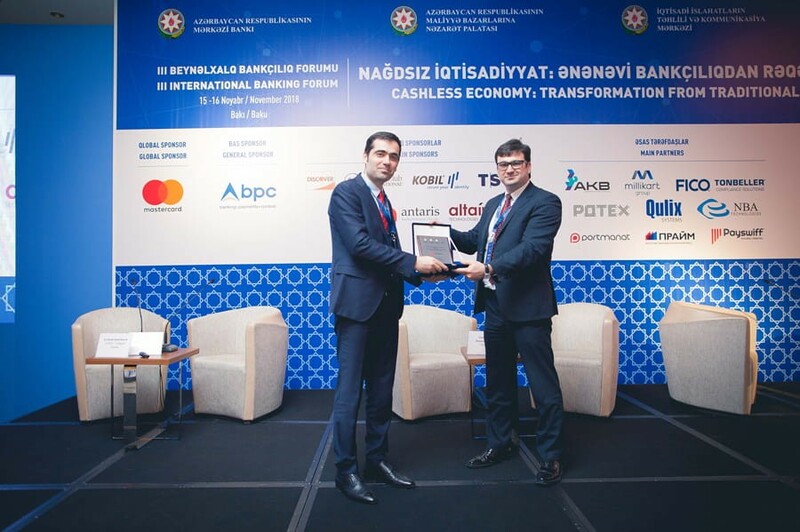 Elchin Habibov has been the General Director of Azerbaijan Credit Bureau since February 2018. 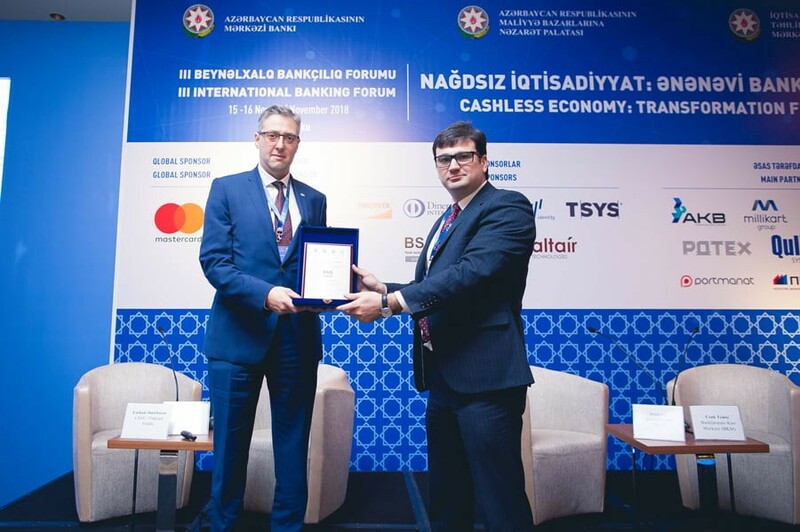 He is a member of Association of Credit Information Providers of Eurasia (ACIPE) and the head of the working group of government regulation of credit bureaus. Prior to joining ACB, he worked on various projects for the establishment and improvement of centralized credit registry and control and statistical systems between 2002 and 2007. 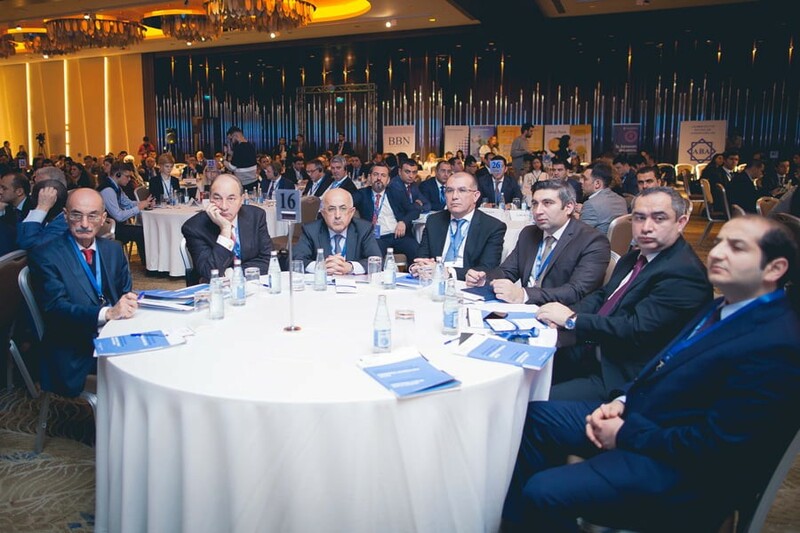 He had been the Head of Centralized Credit Registry of the Central Bank of Azerbaijan Republic from 2007 to 2016 and the Head of the Central Credit Registry of the Financial Markets Supervisory Authority of the Azerbaijan Republic from May 2016 until his position at ACB. He has taken part in exchange programs in a number of public credit registries and private credit bureaus with significant international experience and has given speeches at several local and international events. He has extensive experience in formation of legal framework and regulatory basis for credit information exchange systems, as well as their technological development and management. In 2010 graduated from high school – Baku Oxford School. In the same year accepted to the University of Economic Studies in Bucharest, Romania to the faculty of International Business Relations. In 2013 graduating from bachelor degree , accepted to the master degree at the same University to the faculty of International Business Communication. 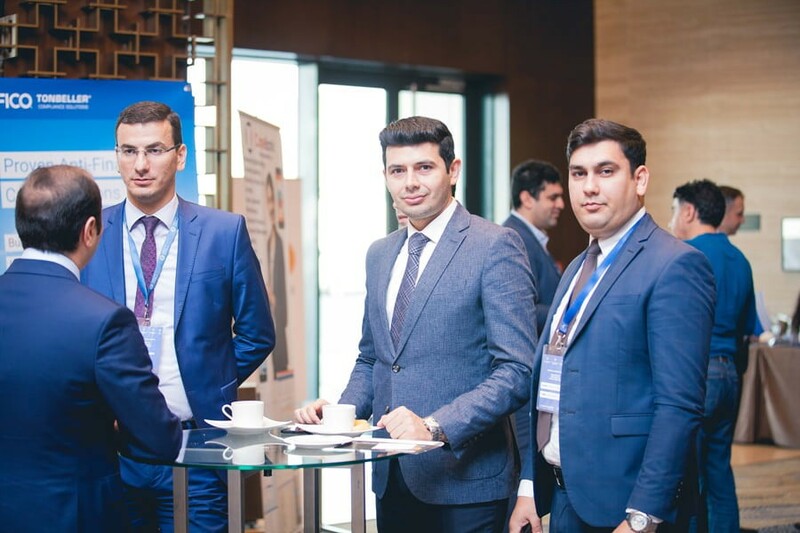 In 2015 coming back to Azerbaijan, from 2017 October to 2018 October worked as Foreign Relations Manager and since october 2018 works as the Manager of EnterpriseAzerbaijan.com portal at the Center for Analysis of Economic Reforms and Communication. Hajiyev Farid Namig was born in Baku in 1987. Graduated from the faculty of Political governance of State academy of governance under President of Azerbaijan Republic in 2018. He is a lawyer. In 2012, he was appointed to the position of Bailiff Officer and admitted to permanent employment in judicial authorities. In 2017, He was appointed to the position of Senior Bailiff Officer. 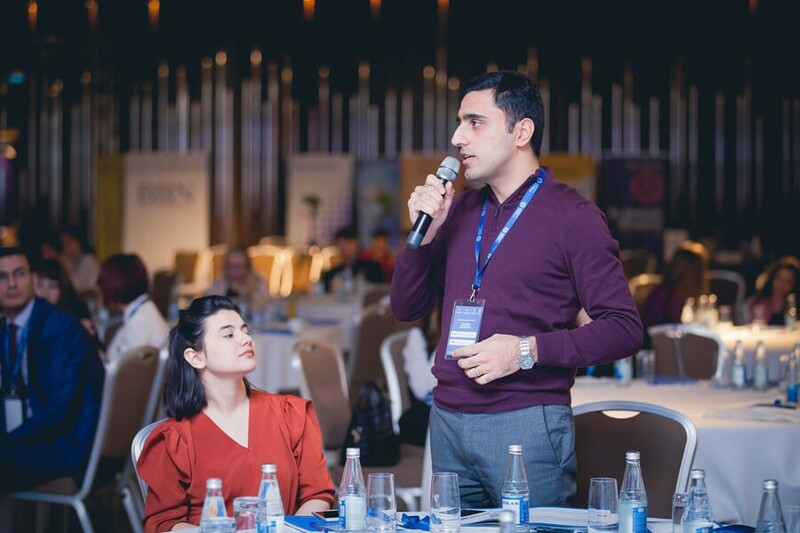 Farid Hajiyev has been involved to the working group regarding the development of the system by contributing with his innovative proposals (establishment of a single database on citizens being a party on work of execution, complete preparation of numerous procedural documents in automated form etc.) while performing his duties related to “e-enforcement” information system. 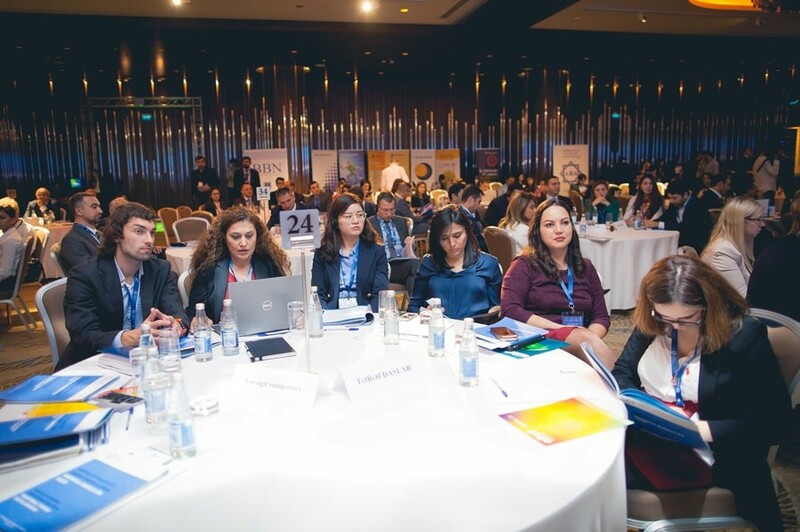 Currently, actively participates in the activities carried out by the working group related to the integration of the "e-enforcement" to other data bases of state agencies, exchange in electronic form between courts and bailiff offices, preparation of dynamic analytical reports and application of intellectual management as well as improvement and enhancement of other functionalities of the system. 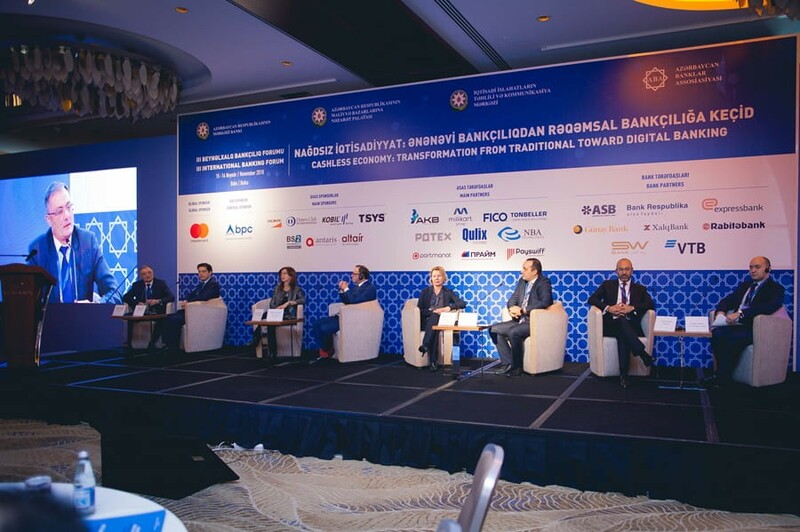 Matanat KasımovaManager of Information Communication Technology Skills Improvement for Project of "Progressive Judicial Services and Modern Court Infrastructure"
Moderator of the Panel "Transformation of Banking"
Compliance vs Security: Enemy or Allies? 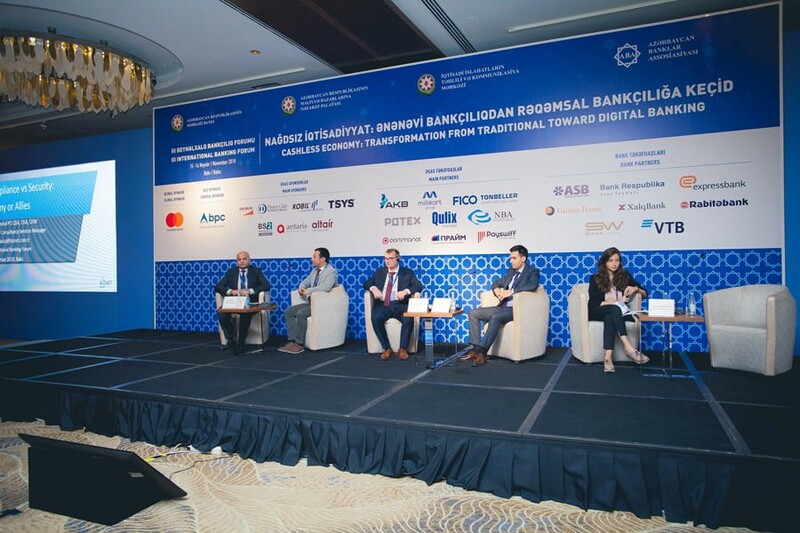 Moderator of the Panel "Automatisation of the AML/KYC Processes and Controls in Banks"
Moderator of the Panel "Judicial Regulation of Digital Banking and Judicial Risks"